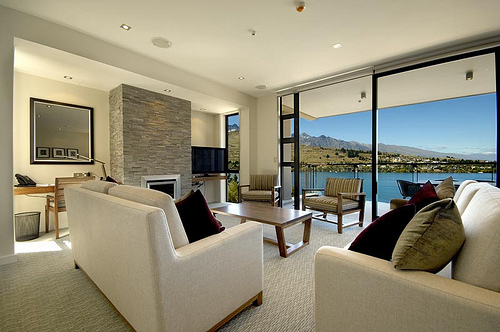 New Zealand Holiday Accommodation Options will pretty much suit most budgets. It really depends on your level of comfort and what you’re prepared to spend. New Zealand has beautiful international styled lodges located on huge estates These high end properties offer a huge amount of personal space and the service to go with it. They usually specialize in outdoor activities such as golf or fishing. Now if golfing is your passion, you would probably enjoy Cape Kidnappers .There’s no better place to to practice your putt. And at the end of the day, skilled chefs will provide a fine dining experience. However, there is a less formal option of New Zealand lodge . This is not fully understood by our international market. These lodges have the name “Bed & Breakfast” attached to them. So what does that mean? Well, these are smaller boutique lodges with a very relaxed vibe. They are often purpose-built. But there may also be a beautifully renovated heritage building. Both these styles are to be found in urban and rural areas. With this option, you’ll get to meet other people and interact with the hosts. The hosts are usually the locals who may have lived very interesting lives. But what these hosts have in is the local knowledge. They know the best cafes, restaurants and tours in their region. Another option is a New Zealand farm stay experience. Now there are folks out there who prefer a bit of privacy and seclusion on their holidays. 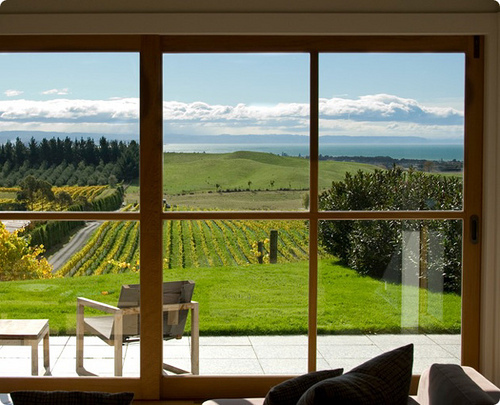 If this is you, then you’ll love New Zealand’s self-contained villas and vineyard cottages. These are fully equipped with all the modern conveniences. However, being self-contained, you’ll need to bring and cook your own food. What you will get, is a breathtaking view. Plus the only sound you’ll wake up to, will be birdsong. There are also some PurePods acommodation options. These places are usually in stunning locations and totally off-the-grid. However they also offer a good level of comfort. The luxury is in the isolation and knowing you’re the only guest. Now brand hotels are yet another option. There are many of travellers out there that love the ‘buzz’ of a stylish hotel for getaways. And there is of course the convenience of 24-hour service. Some international visitors feel more secure in a large hotel. It really depends on what you’re used to. But we all know that not all hotels are created equal. New Zealand has it’s Sofitel, Hilton, Peppers, Quay West. But there are other comfortable hotels that may suit those on a tight budget. 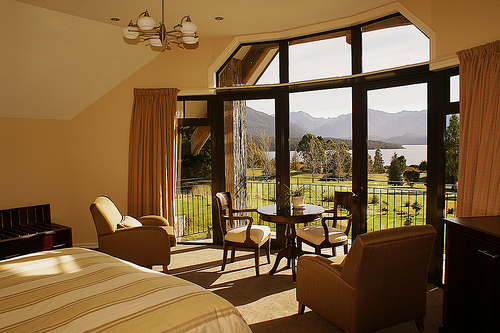 Whatever your preference, New Zealand Holiday Accommodation Options are endless. New Zealand is constantly evolving. Happy travelling with beautiful New Zealand Holiday Accommodation Options! Great posts you’re writing. Good for NZ tourism industry. Have you heard of the alpine log chalet village of Mt Lyford? I would be interested in a chat with you or if you’re travelling up this way…. come and see us. Hey Claudine thanks for your comment – we’re enjoying the journey. As you can appreciate, we covering many areas and not sure when we’ll be up your way, but will certainly catch in the not too distant future.